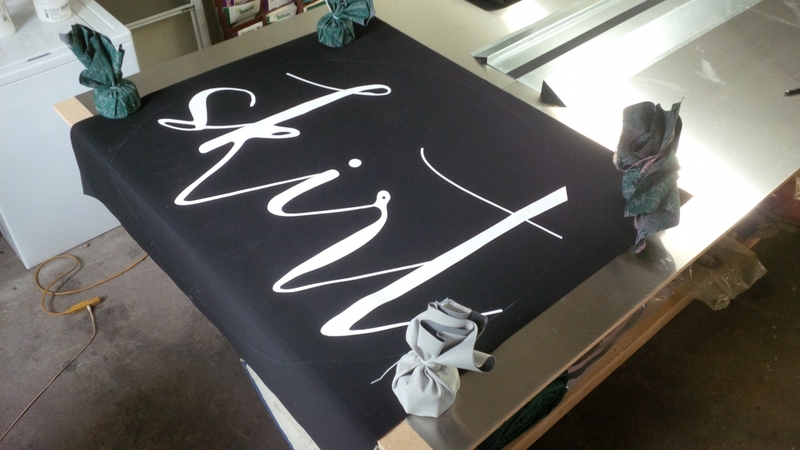 On a recent multi process project, we started with a graphic on a blank piece of fabric. 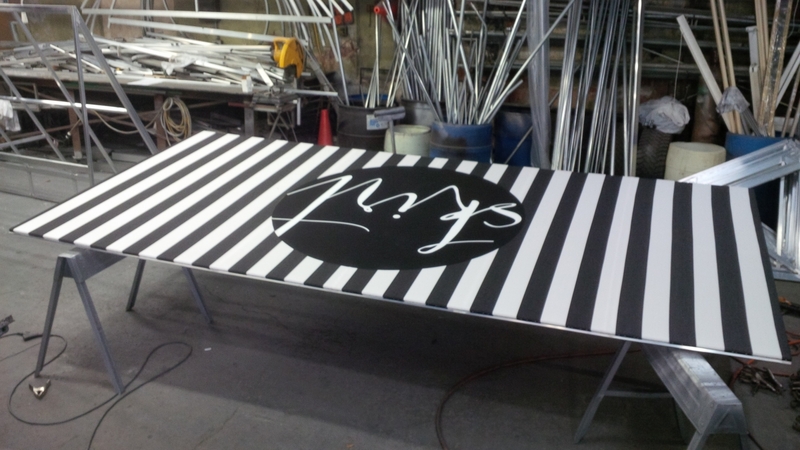 After applying the graphic to the blank we begin the process of putting the graphic on the awning. 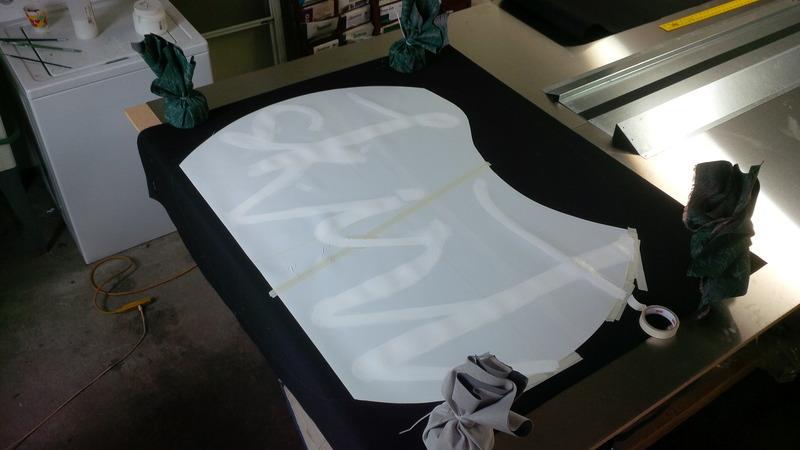 After several coats of paint and removal of the stencil, we end up with a blank ready for fabrication. 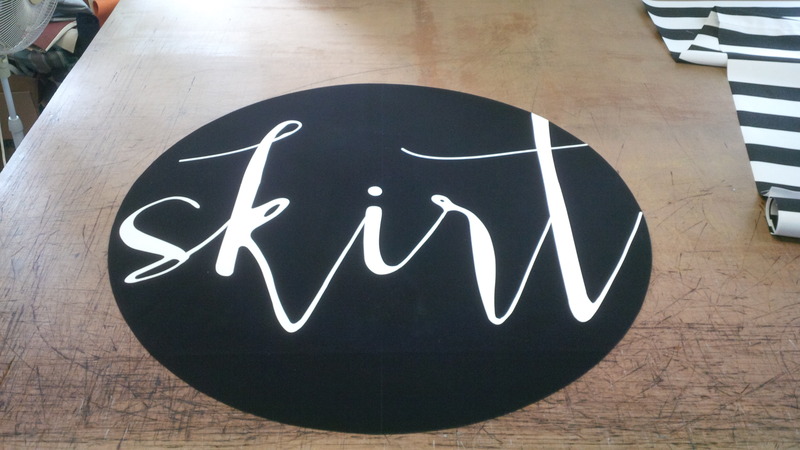 This project required the blank to be cut into a circle.. With the final shape cut and graphic painted, the custom circle is ready to be sew to a striped fabric roof fabricated separately. 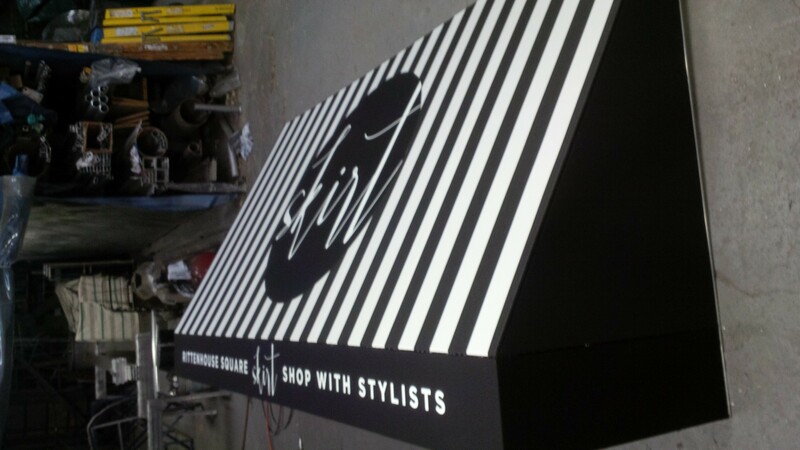 With the two joined, the finished roof panel is applied to a welded aluminum framework fabricated in our shop. A valance panel with graphics we also fabricated in a similar process and secured to the valance area of the welded frame. After wings were added, and gimp added, the final product is installed in its final location. 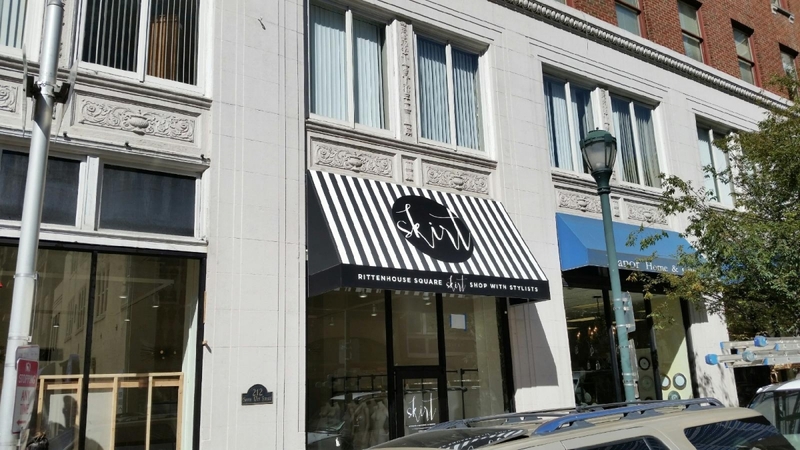 This custom awning was one of three fabricated and manufactured within our facility for one of our numerous clients. The project gave the client the look, exposure and advertising they were looking their new location.